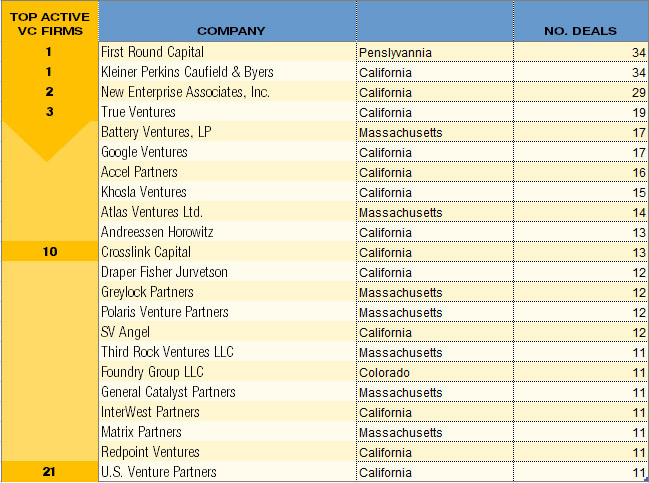 Today, I compiled a list of the most active Venture Capital investors in the US in Q2 2012 using Thomson Reuters data. 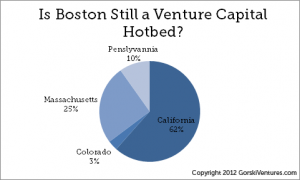 Although the Silicon Valley dominated the ranking for Top 10 most active investors in Q2 2012, Boston remained strong. It’s quiet surprising, considering that many including Paul Graham, founder of the start-up incubator Y Combinator had predicted a slow demise of Boston venture capital and its start-up industries. In his 2009 interview, Graham stated that Silicon Valley investors are less frightened of risky new ideas, lawyers are more familiar with start-up deal terms and entrepreneurs have more support from other founders and advisers. “The differences start early; Stanford students think about working at start-ups while MIT students think about working at big companies”, he said. Well, three years later the ranking shows smaller but yet active position.